January 2018 - Rocktopia – On Tour This Spring! March 20 – April 8, 2018 At the Broadway Theatre Tickets Now On-Sale at Telecharge.com The Six-Week Engagement Runs March…..
Rocktopia was recently featured on the PiercingMetal.com website: “PiercingMetal was in the media mix for the “Rocktopia” Press Preview at…..
Rocktopia's own Rob Evan was recently featured on the Artist Waves website to discuss Rocktopia: “Rocktopia truly represents who I…..
BWW TV: Get Ready to Rock and Meet the Musicians of ROCKTOPIA on Broadway! 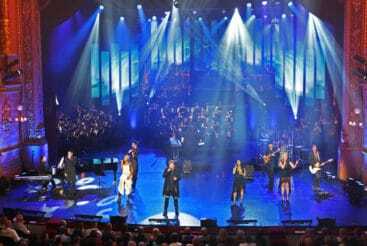 Rocktopia was recently featured on the Broadway World website: “This spring, the international music sensation Rocktopia will rock Broadway for…..